This morning the Postie brought me my first ever Beautylishious Bag and I am really happy with it. 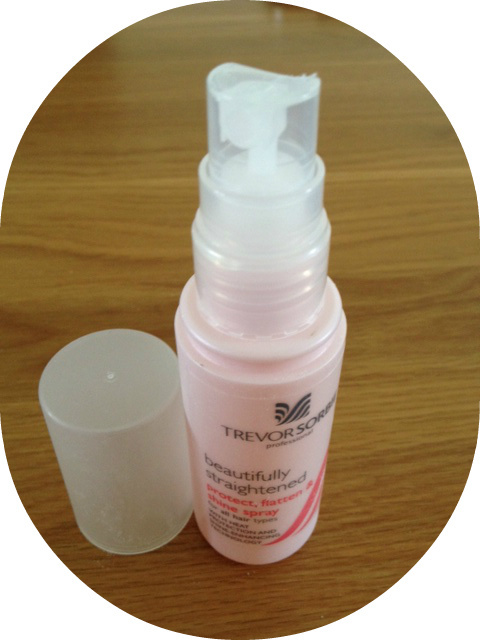 Beautilishious is a fairly new company started by a lady called Harriet. 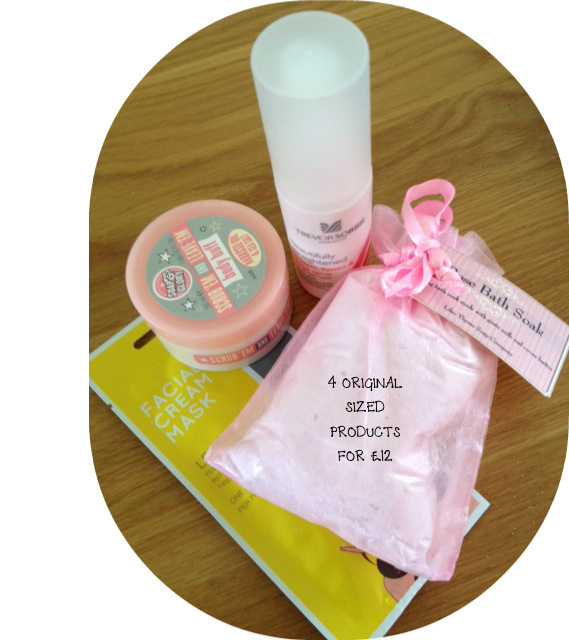 Harriet is a mummy of 2 little boys who was a regular subscriber of beauty boxes herself. Harriet decided to start her own little beauty bag and 'Beautylishious' was born. You can learn more about her from the link above or on her facebook page. You can subscribe to Beautylishious for 3 months at at time £36.00 or you can go online and purchase for £12 per month. Which is an amazing price for what you get. 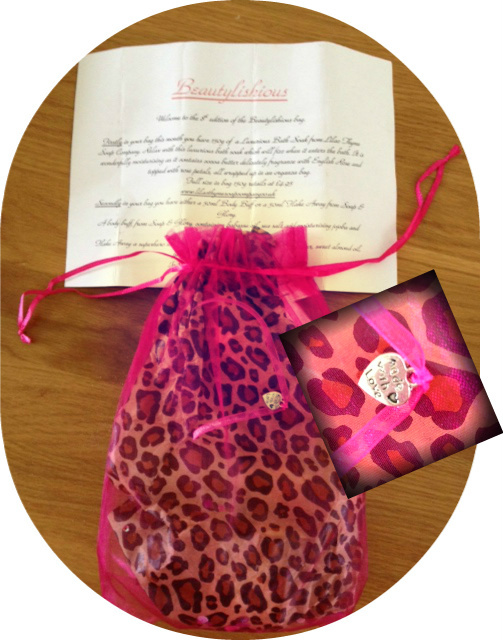 You will either get 4 or 5 products within a gorgeous organza bag. 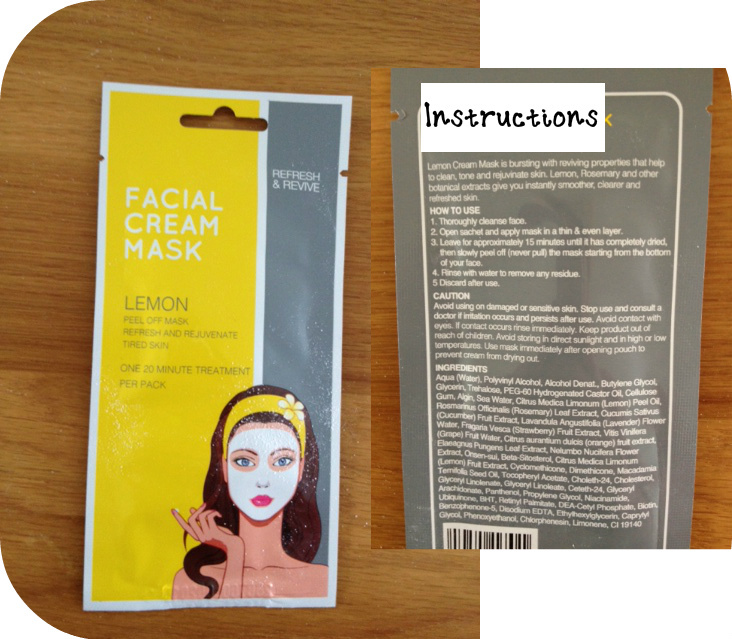 The bag will provide a mixture of 'organic, home made, boutique, or branded skincare and cosmetics to try and in the comfort of your own home'. This is my first purchase and is the 8th edition of the Beautilishious bag. Once I finish this post I am going online to snap up Novembers bag before they are all gone. I suggest you do to. 'Made with Love' this comes with a lovely description of each product you have been given. The attention to detail here is brilliant. 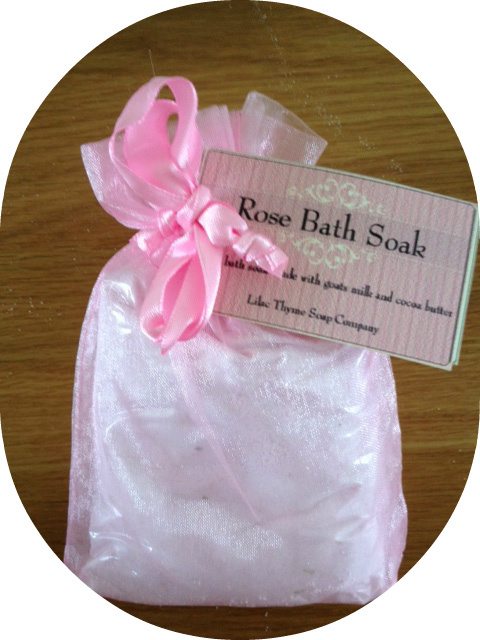 150g of Bath Soak from Lilac Tyme Soap Company, this will fizz up in the bath when it comes into contact with water. it contains cocoa butter and the fragrance is English Rose. It smells gorgeous. Really looking forward to using this later. not normally a fan of the lemon scent but will give it ago. 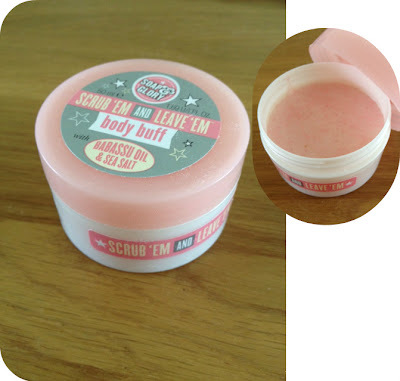 Soap & Glory Body Buff - excited to try this product out as I have never tried anything from this range before but have admired it from afar. As you can see for my £12 I got 4 proper sized products which is really good value for money and I think puts a certain other beauty box to shame last month. I got this too and I'm also very happy! I did a write up too, but your photos put mine to shame, they look great! that lowers your principal balance. Lovely collection, specially you have used the organza ribbon in really awesome way.